New month but the same names on the top 10 list. Sales were down from the previous month across the board. It must have been due to the Canadian election. Yes, probably Trudeau. And his hair. He has the most famous Canadian hair since Bieber. Let’s hope he turns out better! I love you though Biebs. See the numbers below. The top auctioned item was a pair of boots (again). In this case, it was these Berluti chukka boots that went for $1050. 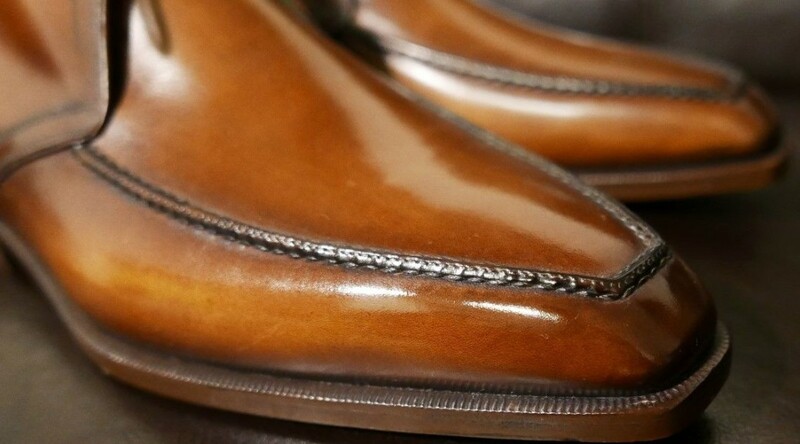 Check out the patina work on these. Advice to the new owner – don’t wear them in the rain. Or snow. Canada is okay.